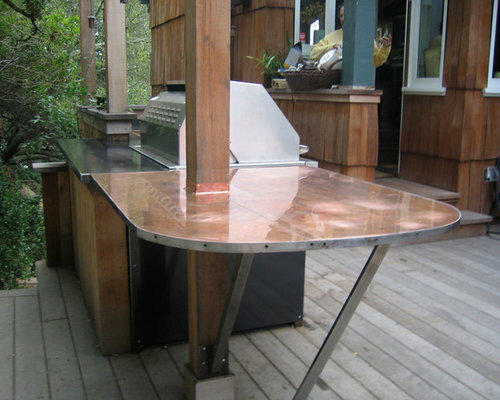 Out door kitchen made with mild steel and copper. Finish, Metal meant to patina with the elements. Steel counter tops with a clear coat. 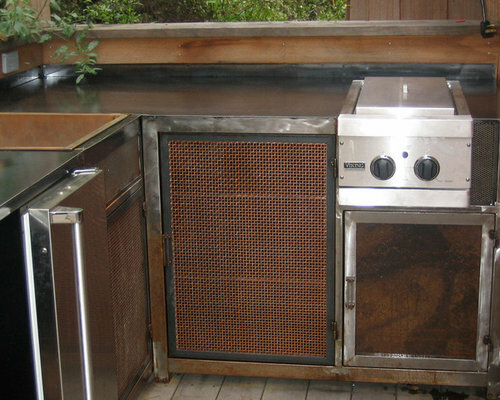 Out door kitchen made with mild steel and copper. Table made with copper and mild steel. Steel counter tops with clear coat finish.